(CORRECTED) Several areas in Batangas suffered extensive damage from a series of earthquakes on Saturday. According to the Batangas Provincial Disaster Risk Reduction and Management Office (PDRRMO), several roads have become impassable due to landslides while some buildings were partially damaged. The following is a list of infrastructure damage sustained by the province and compiled by the PDRRMO as of 10 p.m. Saturday. Zone 6, House of Kag. 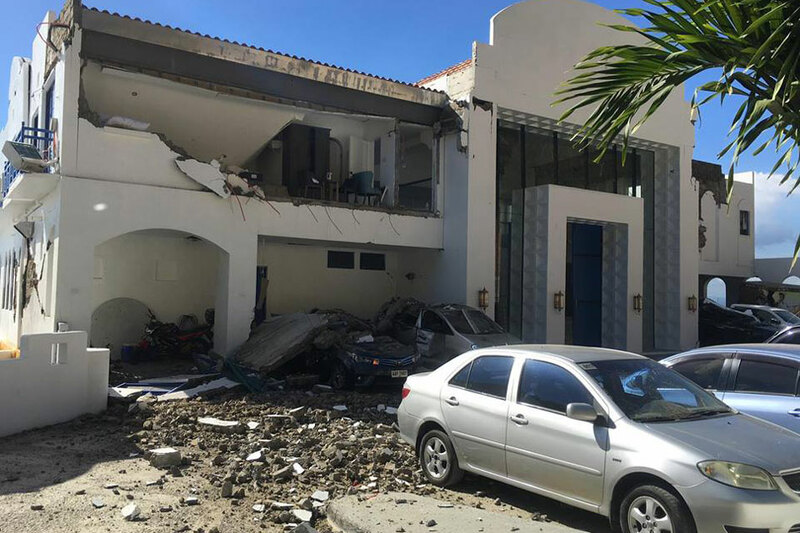 Ediberto Lescano was partially damaged. Brgy. Ligaya, Hotel Camp Netaya major damage. Debris fell on 3 vehicles parked in front of the building. Sitio Balanoy, Brgy. San Teodoro, Seawall and houses collapsed. Ground rupture evident. Brgy. Pulong Niogan, Mabini General Hospital major damage. Earthquakes jolted the town of Mabini, Batangas Saturday afternoon. A third quake hit Taysan town in Batangas 20 minutes later. ERRATUM: An earlier version of this story mentioned several areas that were damaged by the quake as being part of Taal when they are actually part of Mabini. We regret the error.